The Tri247 team have been around the sport long enough to know that junior events can be the feeder for the future of the sport. Whilst it is always great to think that Little Jimmy or Little Susie may be the next Alastair / Jonny / Non / Helen etc, getting more youngsters to experience a multisport event can only increase the chances that this will translate to a large pool of future competitors. 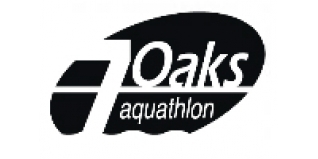 Staging a junior event has a different dynamic than one for ‘grown ups’ and we know that the 7Oaks Tri Club team are proud of their event that now sells out in just a couple of weeks. Well done to the huge number of marshals (80+ volunteers to look after 320 competitors is a great ratio), who spent a large chunk of their Sunday making the event a success. Statistics can sometimes only tell part of the story but the numbers above show how far the 7Oaks Junior Aquathlon has come since it started in 2011. The fifth staging of the race had sold out in two weeks back in March and the organising team had been working on the race for several months. The Race Director told Tri247 that at 10am the rain was ‘lashing it down’ and was still raining whilst the set up was underway but the run of luck for the event meant that once again the sun shone on the race. There were 10 competitors who had competed on all previous occasions and they were rewarded with a special coloured race bib. With the youngest age group (some of whom won’t turn 8 until the end of the year), swimming 50m and running 600m up to the 15/16 year olds swimming 300m and running 3,3000m; there were five different age groups taking part. Competitors, who once again benefitted from FREE photo downloads (7Oaks Tri and Sussex Sport Photography were one of the first partnerships to deliver this great benefit), were able to get their pictures with not one but two Olympic Gold medallists. Sydney 2000 Modern pentathlon winner Steph Cook joined Kelly Holmes (Athens 2004 Gold in both 800m & 1500m) to welcome the youngsters over the line and present them with their medals. Steph and Kelly chatted to a huge number of children and their families – demonstrating that true sporting heroes have a graciousness and depth that matches their athletic talent.